September is right around the corner now! As we enter the home stretch in these final weeks before school starts, let’s hone in on a topic that can help you do your best at school this year and beyond: good study habits. 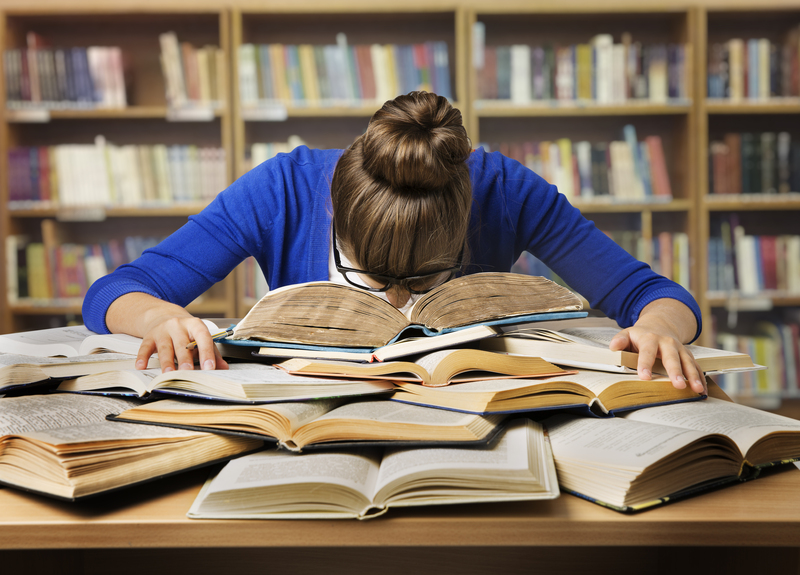 (Teachers/educators: you can also read this post with your class in mind and find plenty of helpful tips to suggest to your students to improve their study skills and academic performance.) Alongside the basics of gathering supplies and learning the essentials about how to start using your WPS Office tools to do assignments, developing solid study habits is another key strategy that all students need in their back-to-school arsenal. When students fail to live up to their potential in their classes, poor study habits are often to blame—not the intelligence level of the student. While the approach that you take to your study habits may seem peripheral to the quality of your classwork, it’s not. The way that you study can make all the difference in your ability to comprehend the material and complete your assignments effectively. When you take the time to develop smart study skills, that solid foundation can provide a consistency in your approach to learning any type of material, regardless of the class or subject matter. We covered some of the basics of note taking in our earlier post on “Getting Back in the School Mindset.” There, you learned how to use the Writer application of WPS Office as a text-editing tool when taking class notes or completing other written assignments. But did you ever stop to think about why note taking is so important? Why not just sit in class and absorb what you can during the teacher’s lecture? The reason is that consistent note taking is part of a student’s effective listening strategy. No matter how strong your memorization skills are, it’s nearly impossible to remember every significant point that your instructor shares during class. Note taking allows you to capture the highlights of class discussion without relying solely on memory. When you jot down (or type out) the highlights, you give yourself the ability to revisit the lecture after class and think about each point in more detail. This opportunity can be invaluable when completing specific assignments, since if you learn how to become a good note taker, your notes will contain a wealth of information that can inform your schoolwork and make your papers and other assignments stand out from your classmates’ work. If your instructor speaks quickly, it can be difficult to capture the entire discussion taking longhand notes. While recording the session with a digital recorder may be an option, not all instructors allow this—and anyway, you would just need to listen to the whole tape again in order to take notes on the highlights, which is not very effective. Instead, some students learn to take notes in “shorthand.” Shorthand is simply an alternative system that uses symbols to represent words rather than letters. By using shorthand symbols, you can take handwritten notes much more quickly than writing out each word in full, which allows you to capture more of the lecture. Most alternative systems of shorthand base their symbols on the way words sound rather than on their spelling. There are many different types of shorthand systems you can learn. One of the most common is called Pitman Shorthand. It involves using a complete phonetic alphabet based on curves, lines, and angles. A few other types of shorthand are called Gregg Shorthand and Teeline Shorthand. You can take a class in shorthand, buy a book to learn a specific shorthand system, or even visit certain websites like this one to learn more about the basics. In addition to developing solid note taking and shorthand strategies, you can also work on developing another good study habit: recopying your notes after class. When you rewrite (or retype) your notes, it gives you another chance to review the material, which will help you remember it. You can also use recopying time as a chance to highlight important points with a highlighter (or highlight feature on your laptop), and write out the main points from shorthand into regular sentence form in preparation to integrate the lecture material in your assignments. Some instructors allow you to take notes on your laptop during class rather than needing to take them by hand in a notebook. If you have this option, it’s smart to take advantage of it—partly because you can then use keyboard shortcuts to save time and effort in note taking. WPS Office offers an extensive list of PC Keyboard Shortcuts that you can find here. As you’ll see when you peruse this list of more than 50 predefined shortcuts, you can use shortcuts to do everything from apply or remove italics/underlining/bold to repeating or undoing the last command that you made. The shortcuts work for Writer as well as for Spreadsheets and Presentation. In our next post, we’ll continue our exploration of good study habits by focusing on a specific technique that’s vital for school success related to time management: scheduling. You’ll learn how to develop a schedule that allows you enough time for your studies, as well as some reward systems to encourage your self-discipline.